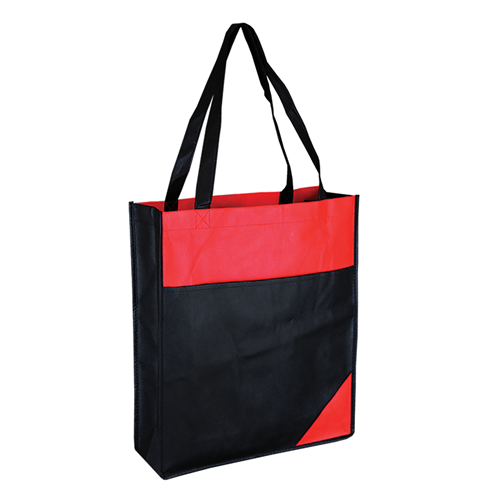 90 gsm non woven tote bag with front pouch. Long Shoulder Handles, black bag with front colored design. Printed with a special environmentally friendly water base ink.